As with The Rugrats Movie, the new film will be supported by various ads to be displayed , published or broadcasted by theaters, magazines, newspapers, radio and TV. And in May, the ads started coming in, in the form of large banners. For details, click here. Also, Paramount is starting to place ads for the film in magazines, starting first with the trades. At left here is a trade ad for the film from the 5/30/2000 issue of The Hollywood Reporter. 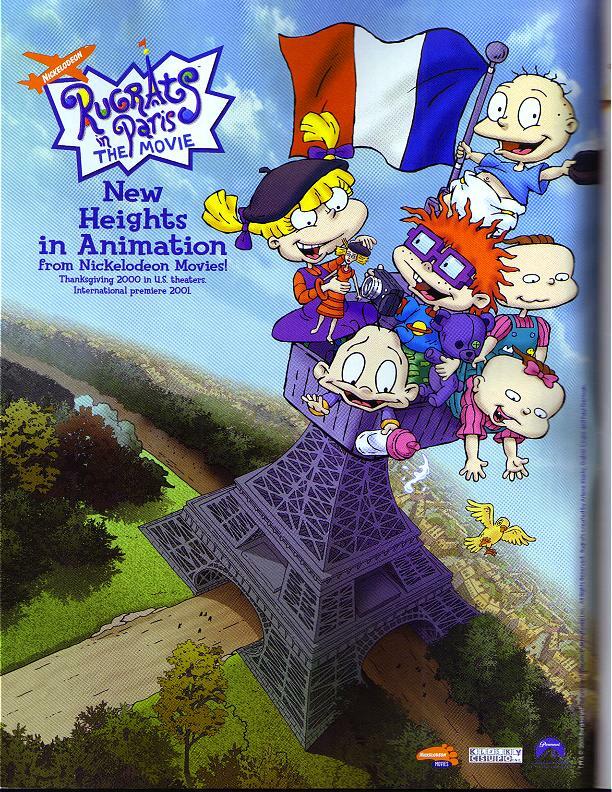 The same ad also appeared in the June 2000 issue of Animation Magazine, though the ad in that issue was targeted to attendees of the World Animation Celebration. To see a larger picture, click here. 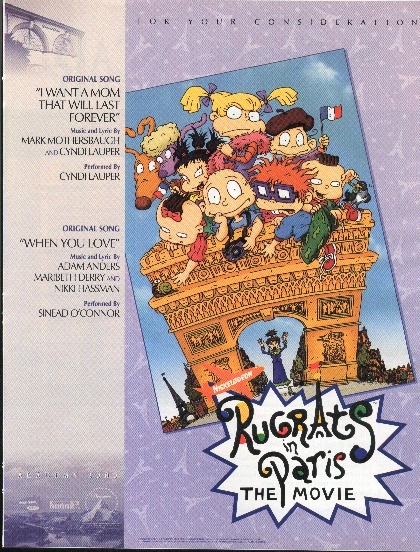 At right is the front cover to a Rugrats In Paris "sneak peek" booklet (also from eBay), a 16-page mini-magazine that explains the details on the film, including a page introducing Kimi. Also included is a 5-page comic story, It's A Tiny World, Compared To Reptar! *, where the Rugrats romp around an attraction with miniaturised people and a gigantic Reptar. There are 2 versions of this booklet -- the first version, at right, was distributed at the Licensing 2000 show in New York City to conventioneers there (that version also had Dil in an ad on the back cover); a second version had a blue movie logo, Tommy wearing a black beret and a movie ad similar to the poster at left here. That version was distributed to movie theaters. *Comic credits -- Script: Dave Roman; Pencils: Scott Roberts; Inks: Adam DeKraker; Colors: Stu Chaifetz; Letters: Ken Lopez. While there was a big advertising blitz for the theatrical release of the picture, expect something just as big for the video release. Nick will be placing ads for the video release of the film in various children's and family magazines, including, of course, Nickelodeon Magazine. 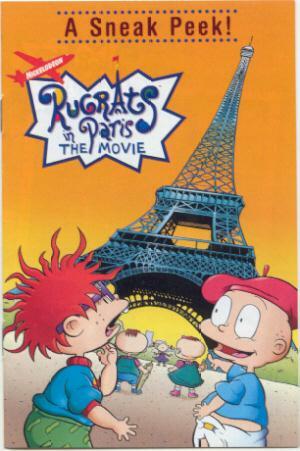 Paramount is pitching Rugrats In Paris to members of the Academy Awards committee. And while there's only a little chance that the film itself, or anyone behind the scenes, will be nominated, the studio is pitching two of the film's best songs, When You Love and I Want A Mom..., for nomination in the "Original Song" category. For a larger picture, click here. There are also various movie posters issued for the film worldwide. To see them, click here. Many papers publish newspaper ads for the film, either placed by the distributors, or the theaters themselves. For a look at these, click here. Shortly before the film's release, Paramount Pictures and local sponsors issued special passes, enabling lucky recipients to see the film before anyone else. 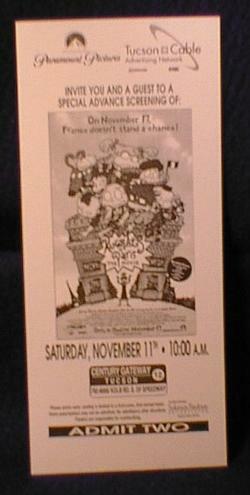 These passes are normally issued to reviewers, those who work in the media, and of course, winners in radio contest (along the lines of "Caller #9 will receive a special pass for a sneak preview of Rugrats In Paris..."). At left is an example of a movie pass. 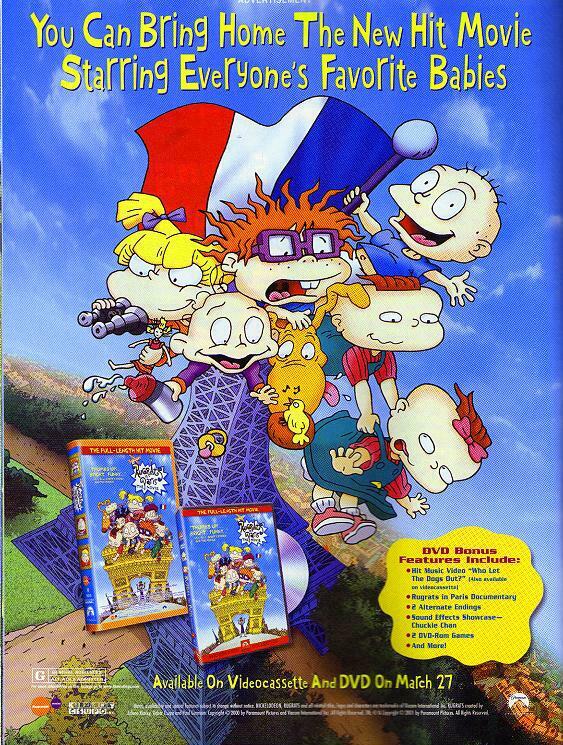 In this case, it enabled 2 people to see a special, 11/11/2000 screening of Rugrats In Paris, courtesy of Paramount and the Tucson Cable Advertising Network, which sells local ad time on local cable systems in Tucson, AZ. In addition to the usual means of advertising, the movie industry is also turning to sporting venues in some cities, where they place large banner ads at courtside, along the rink, at home plate, etc. 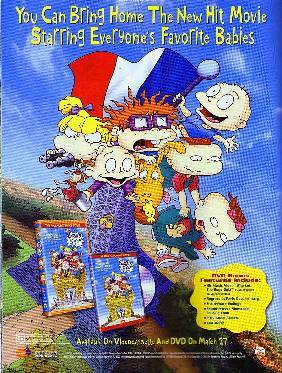 Rugrats In Paris is no exception. 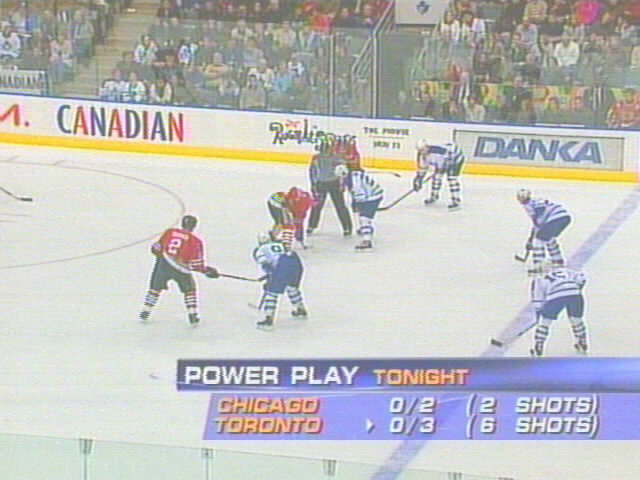 Take the Air Canada Centre in Toronto, ON, for example -- note the Rugrats In Paris ad, there for the whole world to see (right). 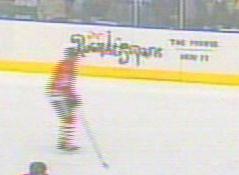 Even if the players block the ad and the camera is farther away (left), the Rugrats lettering is unmistakeable. To see a larger image of the left picture, click here; to see the entire right picture, click here.